An artisan provides a spinning demonstration during Crafts of the Past. 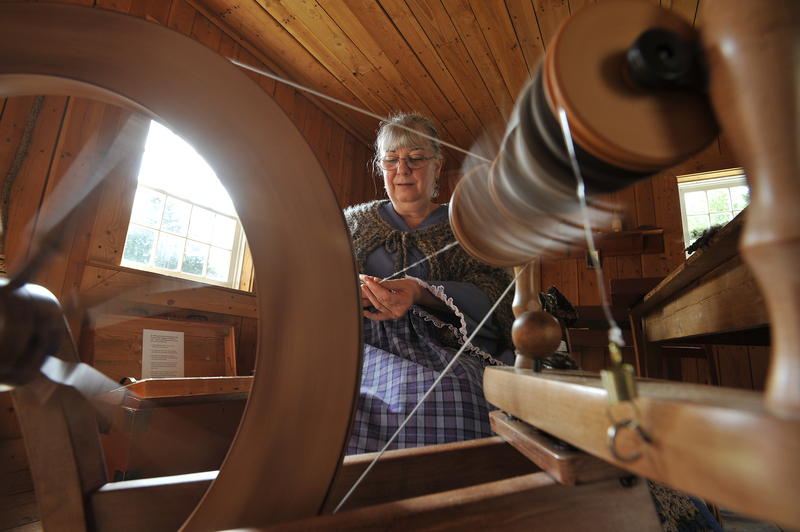 During the next five months, guests of Fort Nisqually Living History Museum will get a close encounter with the creativity of daily life in the 1800s when the popular Crafts of the Past program returns for a third year. Each weekend from May 3 through September 28a different artist will be “in-residence” at the Fort with displays and demonstrations of their work. Most will also offer guests the opportunity to try the craft themselves. Featured crafts include Native American basketry, metal engraving, millinery, botanical illustration, broom making, and blacksmithing. Crafts of the Past is sponsored by the Fort Nisqually Foundation and made possible with funding from the Nisqually Indian Tribe and the Tacoma Arts Commission. 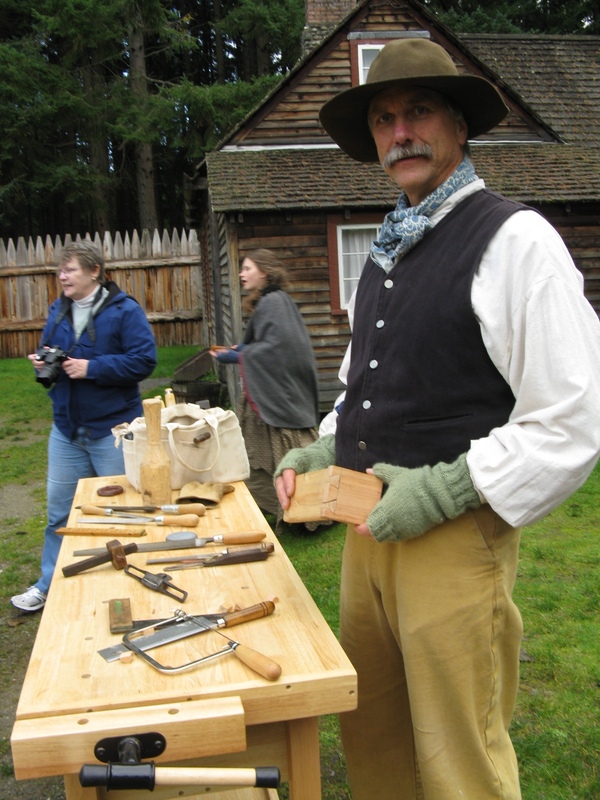 An artisan gives a woodworking demonstration during Crafts of the Past. Photo provided by Fort Nisqually Foundation. May 3-4 – Steve Baima follows in the tradition of the 18th and 19th century gun makers who embellished their wares with intricate metal engravings. Steve was mentored by accomplished artisans, and has been perfecting his craft through years of practice. Guests will have the opportunity to try their hand at engraving lines on soft brass. Steve is the president of the Cascade Mountain Men and the Washington Historical Gunmakers Guild. May 10-11 – Heather Kibbey and Mickey Pederson have each been spinning, weaving, knitting, crocheting, and tatting for more than 40 years. Both Mickey and Heather are regular volunteers at Fort Nisqually Living History Museum and often mentor other volunteers. Guests will see them spin and weave, and have the opportunity to try their hand at using drop spindles or weaving on a loom. On Saturday, guests will also get to see how the whole process begins — with the sheering of sheep — thanks to a small flock of visiting sheep. May 18 (Sunday Only) – Judy Bridges, a member of the Cowlitz Indian Tribe, is descended from five fur traders and their Native American wives. Her baskets use both traditional and modern materials. She took up basketry in the early 1990s, studying with both native and non-native teachers. She has been teaching and demonstrating basketry for more than a decade. Judy will demonstrate basketry techniques such as plaiting, twining and coiling. Guests can examine baskets under construction and handle raw materials. May 31-June 1 – Alan Archambault has been creating historical illustrations for more than 50 years. Before the advent of photography, images of places and events were often created by artists. Such illustrations are an important resource for historians. Alan, a former museum director, understands their significance and has worked to keep the craft alive. Alan is also an accomplished calligrapher. Younger guests can enjoy coloring illustrations, and older guest can try their hand at illustration or calligraphy. The City of Tacoma’s Media and Communications Office – in partnership with its Community and Economic Development Department’s Arts Program – are proud to announce the launch of a new episode of “artTown,” a cultural documentary-style TV initiative exploring Tacoma’s emergence as a major creative hub in the Pacific Northwest. Launched in October 2013, the quarterly series features diverse perspectives on a variety of creative disciplines. Offering a more holistic look at creativity in Tacoma, “artTown” stretches beyond what people might traditionally think of as “creative” – such as fine art, music or dance – to spotlight other creative areas of interest that have flourished in Tacoma like food, fashion, innovative education practices, architecture and more. 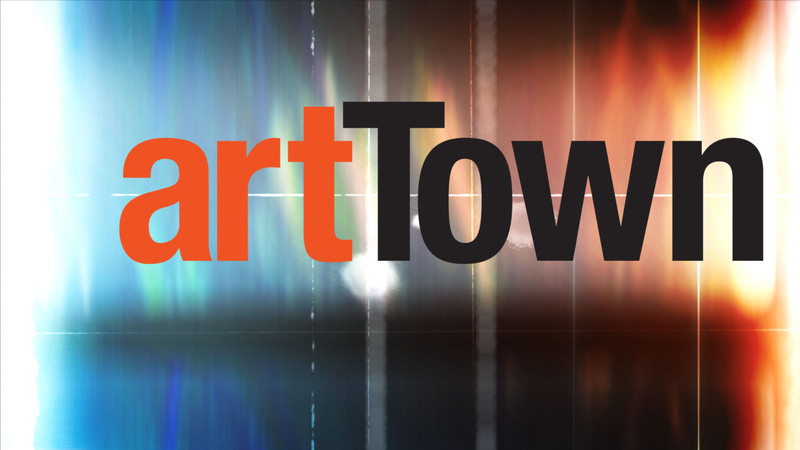 Watch “artTown” anytime at cityoftacoma.org/artTown. 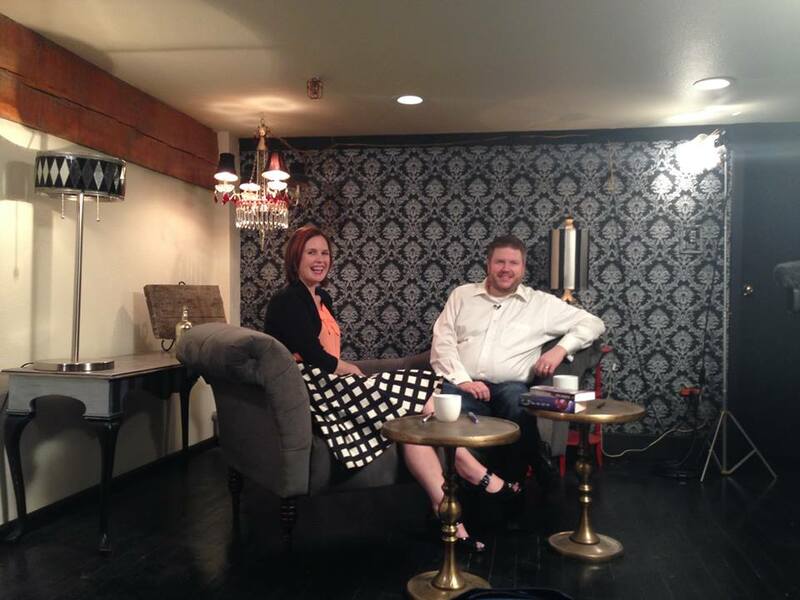 Future episodes will be produced in part based on some of the audience feedback culled via social media, email at maria.lee@cityoftacoma.org or phone at (253) 591-2054. Detail of Nick Goettling’s 2013 Morgan Street mural in Chicago. 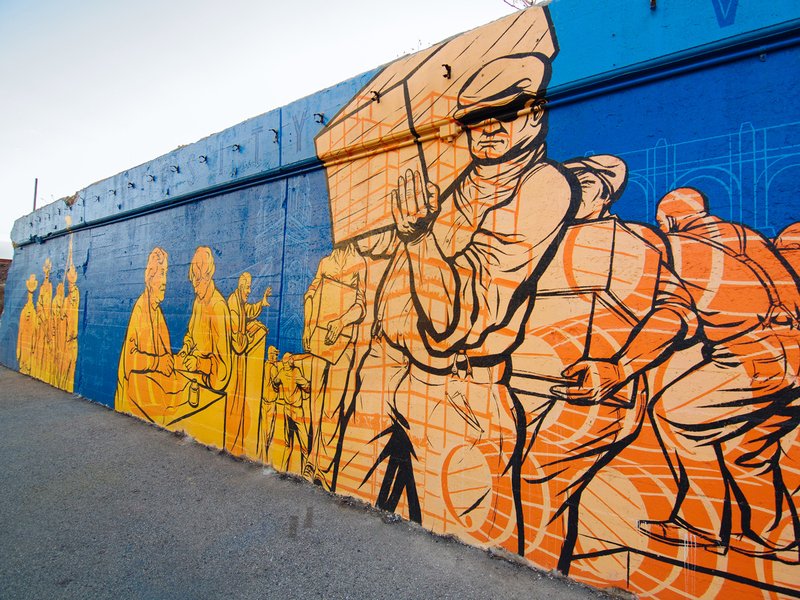 Artist Nick Goettling from Gig Harbor was recently selected in a competitive process to create a site-responsive mural along Dock Street on the concrete wall of the stormwater collection system below the western side of Tacoma’s Murray Morgan Bridge. Built in 1913, the Murray Morgan Bridge was closed in 2007, due to safety concerns and restored and reopened 100 years later, in 2013. 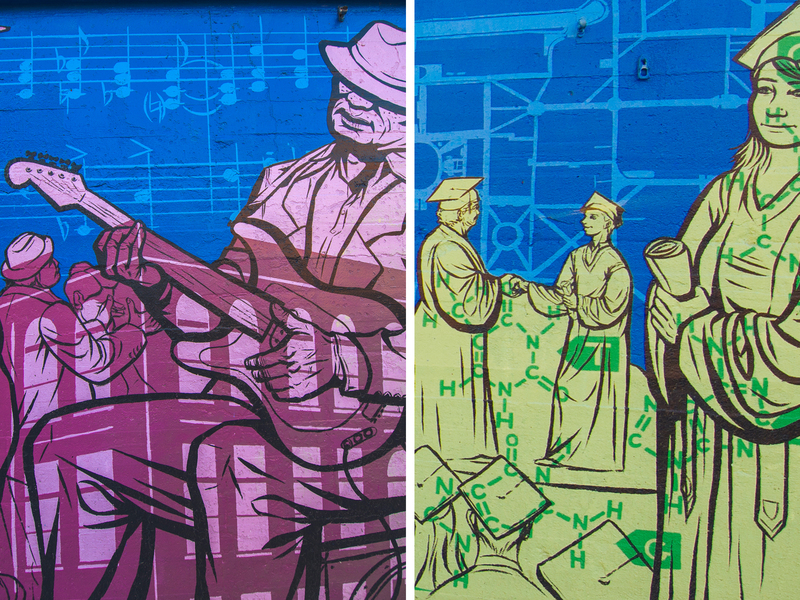 This $10,000 mural commission is part of an interpretive information plan to tell the story of the bridge and celebrate its connection to the Foss Waterway. A review panel, consisting of community members affiliated with the site and Tacoma Arts Commissioners, reviewed the work of 10 artists, selecting three to interview for the final commission. The panel’s recommendation of Goettling was approved by the Tacoma Arts Commission on April 14, 2014. 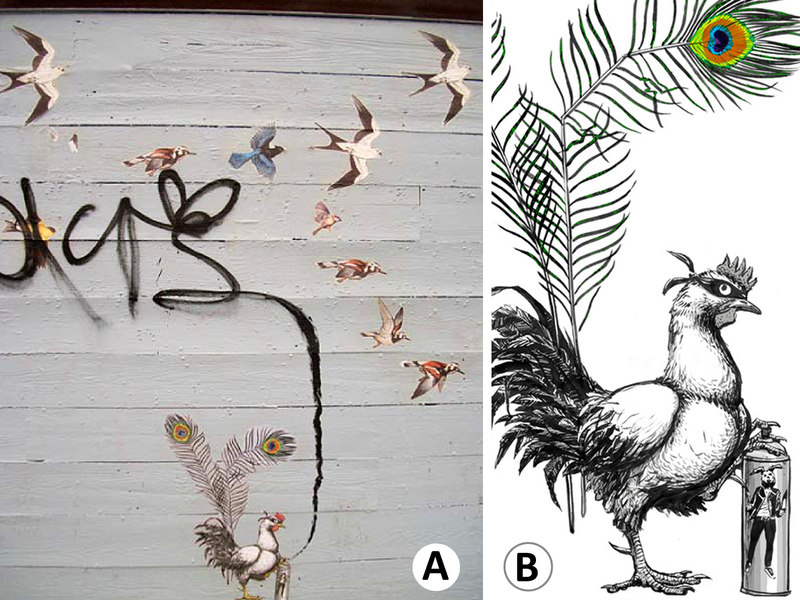 Detail from Nick Goettling’s Winter Migration temporary mural, 2011. Goettling will continue research of the bridge and history of the area and will connect with members of the local community in developing a mural design. Painting will commence over the summer and the final mural will be completed by the end of October 2014. 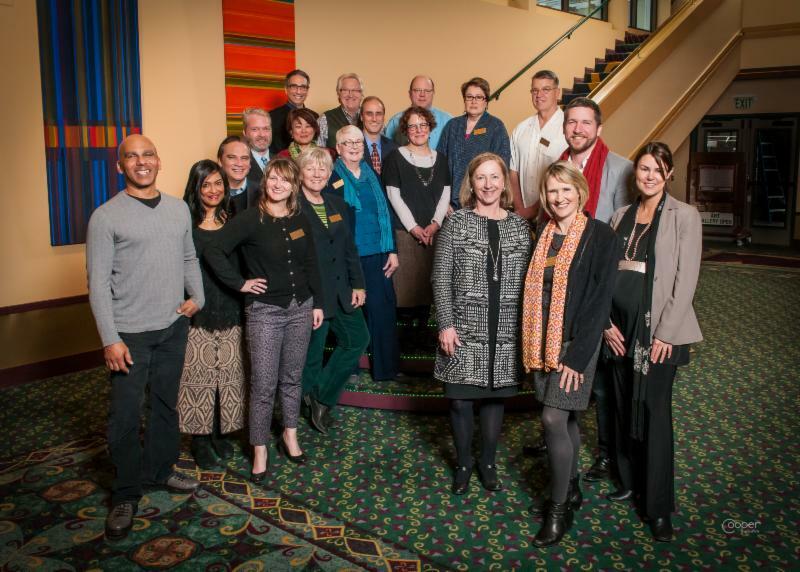 ArtsWA Commissioners with Karen Hanan. Photo by Cooper Studios. Join us for the Washington State Arts Commission’s (ArtsWa) first Regional Arts Forum, an informal meet & greet event where you will have an opportunity to meet Karen Hanan, the new Executive Director of ArtsWa. This is Karen’s first stop on a year-long quest to meet community members across the state. Bring your questions and comments and learn more about the programs and opportunities supported by ArtsWA. The Tacoma Arts Commission is proud to organize and host this event and welcome Karen to our community. Thank you to the Broadway Center for the Performing Arts for hosting us in the beautiful Pantages Theater. Additional ArtsWA Regional Arts Forums will be held over the course of the year in Vancouver, Bellingham, Yakima, Twisp, Spokane, and other Washington cities to be announced.